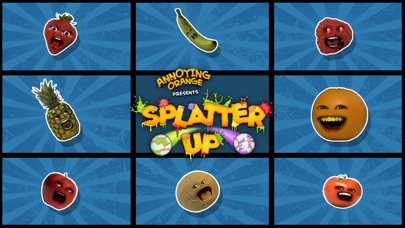 – Tons of characters and hilarious color commentary from Apple, Strawberry, Banana, the Annoying Orange and more! 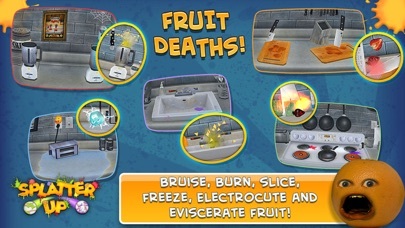 – Bruise, burn, slice, freeze, electrocute and eviscerate your favorite fruits with a multitude of dangers in the Kitchen! 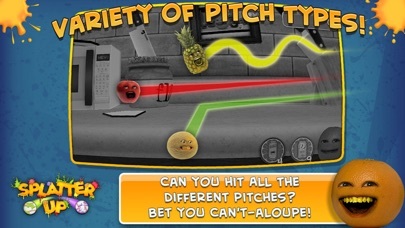 – A variety of pitches that start easy but will quickly challenge your timing and accuracy! 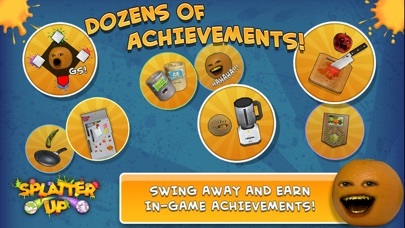 – Over 30 achievements to test your Resolve… which you will need plenty of after a round of this game. HAHAHA! – “Stitchy” the Softball joins the crew. Use this ol’ timer when you need a slow and straight pitch. Use him wisely though… you only get 3 per game! – Santa Squash arrives in the kitchen with a present for all the good (and bad) boys and girls! – Marshmallow jumps in and enjoys his favorite holiday drink. Dunk him for a chocolate boost! Yay! 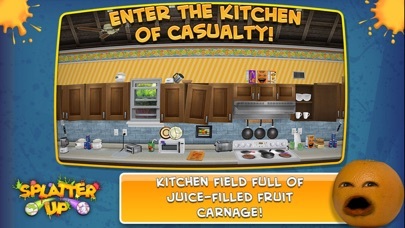 – Power-up your scores by collecting the elusive Starfruit for 5 additional outs in the current game!.